The ruggedized helmet mount assembly provides soldiers with an easier, more comfortable mounting option when wearing the NVG-7 or PVS-7 goggle or NVM14 and PS14 monoculars. 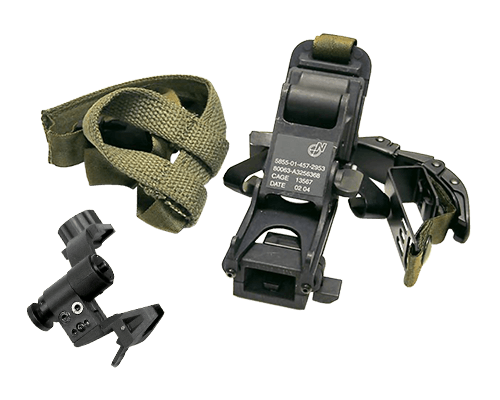 This mount allows direct attachment of the goggle or monocular to the PASGT helmet as opposed to the standard head mount assembly. Includes mount and straps.